YouTube on Wednesday strode into an arena dominated by Amazon-owned Twitch, with the launch of a service tailored for the hot trend of video game play as a spectator sport. The rollout of YouTube Gaming marked the public debut of an online venue where video game lovers can find commentary, live play, on-demand snippets and more. YouTube Gaming had been in a test phase since it was shown off at an Electronic Entertainment Expo (E3) extravaganza in June. 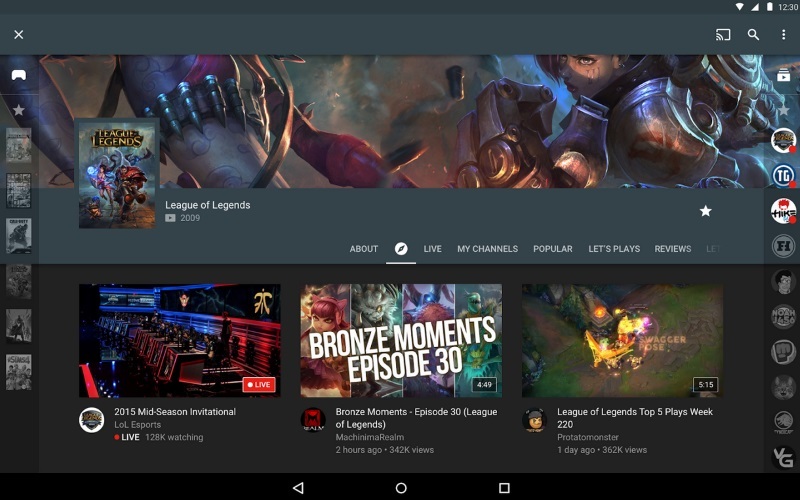 “As promised, and after some excellent road-testing by thousands of dedicated gaming fans, YouTube Gaming is now available,” YouTube engineering manager Frank Petterson said in a blog post. An English-language website at gaming.youtube.com was being rolled out in countries where YouTube is available, according to Petterson. “Having a destination where you can get all the gaming content you care about is really important,” Ryan Wyatt, YouTube’s head of gaming partnerships, told AFP at E3 while showing off the online venue for live or on-demand video focused on gaming. “That is why we created this,” he said. Billions of hours of video related to gaming are watched monthly on YouTube, from “walk-through” clips showing players how to handle challenges, to comedic commentary and in-game action, according to Wyatt. The acquisition was one of the largest in Amazon’s history $970 million in cash for the three-year-old Internet company.